With longer days and soaring temperatures, residents in Bradenton should expect steady increases in the amount of traffic on the roads. On the heels of a busy spring break season, the next wave of tourists are already gearing up for their summer vacation plans. While it is natural to get aggravated by road congestion and delays in your commute, losing your cool behind the wheel makes car accidents and injuries more likely to occur. 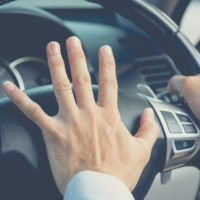 The following offers general information all motorists need to be aware of about the dangers of aggressive driving, as well as ways to avoid this type of dangerous driving behavior. Failing to obey traffic signs and signals. In an effort to improve safety, FDOT is targeting high-risk locations, such as intersections and interstate exit and entrance ramps, with technological improvements meant to increase traffic flow. Law enforcement officials are also on the alert, ready to write tickets for drivers engaged in speeding and other types of dangerous and illegal aggressive driving behaviors. Avoid the need to rush. Make it a habit to leave early and allow yourself plenty of time to reach your destination. Be a conscientious driver. Follow all traffic rules and regulations. Realize that you cannot control traffic. Tailgating will only provoke other drivers. Be considerate. Yield when appropriate and take turns when merging. Resist the temptation to get revenge. When another driver acts rudely, avoiding trying to ‘teach them a lesson’. Stay calm and keep your focus on driving safely. Keep your mind on getting to your destination safely and avoid being distracted by cellphones, texts, or even other passengers in your vehicle. Aggressive driving is often to blame for everything from minor fenders benders to more major collisions. In these situations, our Bradenton car accident attorney can advise you on how to get the compensation you need to recover. Reach out and contact the Law Office of Steven G. Lavely to request a consultation to discuss your case today.